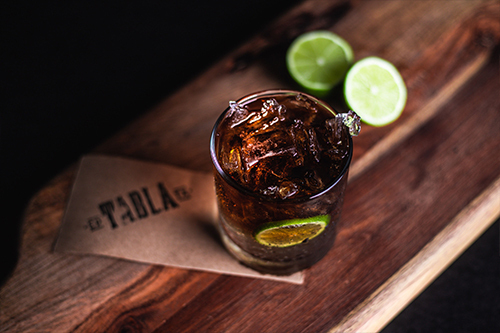 Owned by Executive Chef Norberto Portillo, Tabla offers a casual ambiance paired with expertly crafted food & cocktails. Small plates with BIG flavor that are meant to be shared. Born and raised near Anthony, Texas, Norberto’s interest and talent in the culinary arts earned him acceptance into The Scottsdale Culinary Institute and apprenticeships at renowned Portland staples - Park Kitchen and Simpatica. With the knowledge and experience he acquired, he resolved to return to his roots to impact, enhance, and evolve the local food industry. Opening Tabla and teaching aspiring chefs at El Paso Community College, where he continues to share his passion for cooking, are the products of that resolve. © Copyright 2019 Tabla. All rights reserved. Site setup by Ghostlight Creative. Photography by Christy G Creative.